Like many parents, I was faced with the challenge of decorating Z.E.N.’s room with age appropriate visuals and imagery. As children grow, decorations can become outdated and lack the stimuli that a child needs to develop effectively. I discovered a great way to provide visual stimulus while having fun by incorporating the use of wall decals. Since Z.E.N. likes airplanes, I chose airplane themed wall decals and he absolutely loved them. The popularity of using wall decals has grown in recent years with advancements in printing technology. One of the many benefits of using wall decals for kids rooms is that they can be easily removed when the child outgrows or becomes bored with them and replaced with more appropriate words and images. Wall decals for kids rooms are manufactured in a variety of shapes and sizes that are appropriate for a number of different ages. There are nursery wall decals and stickers that can be used up until the teenage years. Using these can save a parent a lot of time and money they would have invested in a decorative paint job that would eventually need to be painted over. These decals are available at a number of stores and online dealers. They can even be made on a home computer if you purchase the proper printing paper and materials. This way, the child and parent can work together to custom make their own design. Another great use of wall decals for kids rooms is to provide your child with inspirational messages in the form of decorative words. Messages of inspiration can be purchased whole or letter-by-letter in variety of fonts, sizes and styles. 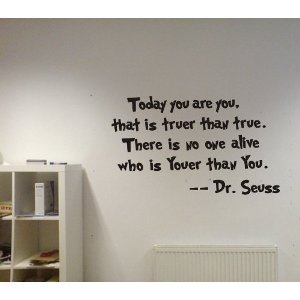 These messages can be placed on the walls and ceiling to inspire your child to become self-actualized and confident. In the earlier years, letters can be placed on the walls to help the child learn their alphabet and to write the shapes of the letters properly. As the child grows, these letters can be formed into simple words and then finally into more advanced messages as the child reaches their teen years. Decals are a great way to avoid having a room that is age inappropriate for a child. The decals are easily applied and can be done without the help of professional decorators. Smaller decals can be applied by one parent but with the larger decals, it is best to have two people present, so they are applied properly. You simply clean the surface of the wall or ceiling, making certain it is free of any dust or debris and then apply the decal. Decals are as easily removed as they are applied, and if manufactured properly they will leave no residue from glues or adhesives. 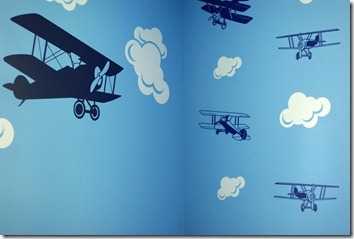 Wall decals for kids rooms are very simple to maintain and clean as well. Many of them can be wiped down with a wet sponge if they become soiled or marked up with fingerprints. They can also be reused by replacing them back on the original material that they were adhered to. Wall decals for kids rooms are a fun and exciting way to decorate and to help your child’s imagination to grow. Love wall decals since they don’t ruin the walls. Your decals look great in the room! Thank you! Yes that’s one of the main reasons I decided to get them. They’re easy to apply and remove. I love wall decals as well! For my son’s 4th birthday, we were able to redecorate his entire room with a GI Joe theme using a new bedspread and decals. He loved it! I love your idea of using letters. Now that my son is learning to read, he may really like that too! Thank you – stumbled! That’s exactly what we did with Z.E.N.’s room, we bought some new bedding and some artwork along with the decals. It’s a great way to re-decorate. It’s easy too. The Budget Diet girl approves! stumbled! Wow, it’s great that you are aware of changing the visual stimuli in the environment as your child grows. Bravo to you! We just did a bedroom makeover and have several inspirational sayings on the wall. I really enjoy them and they don’t need to be dusted! The truth is it takes more than great ideas for decorating kids bedrooms (such as stylish bedroom themes for children & cool teen bedrooms designs) to inspire our kids to keep their rooms neat. I am agree with you. Wall stickers are easy way to decorate any room, personalize interior of your home. Walls do not have to be blank, boring in one colour. Kids have a lot fun when they get involved in their room decoration.